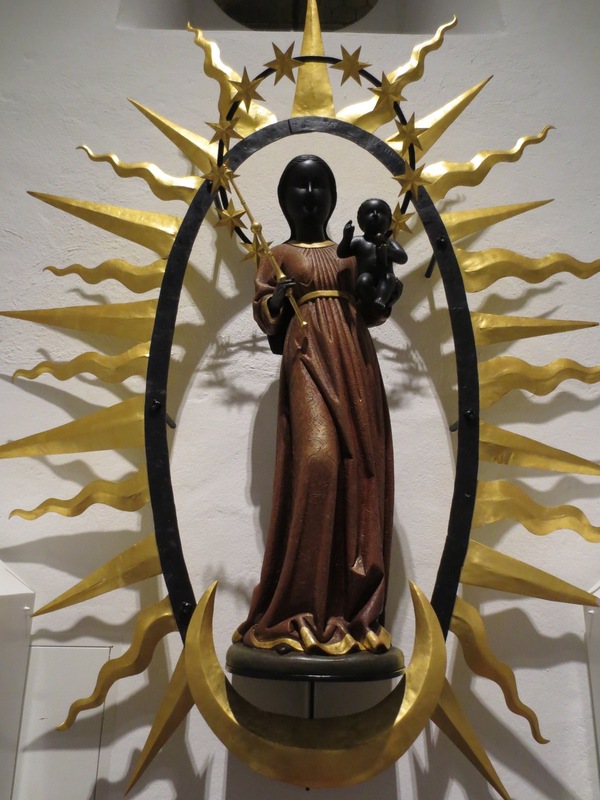 The Black Madonna of Einsiedeln. 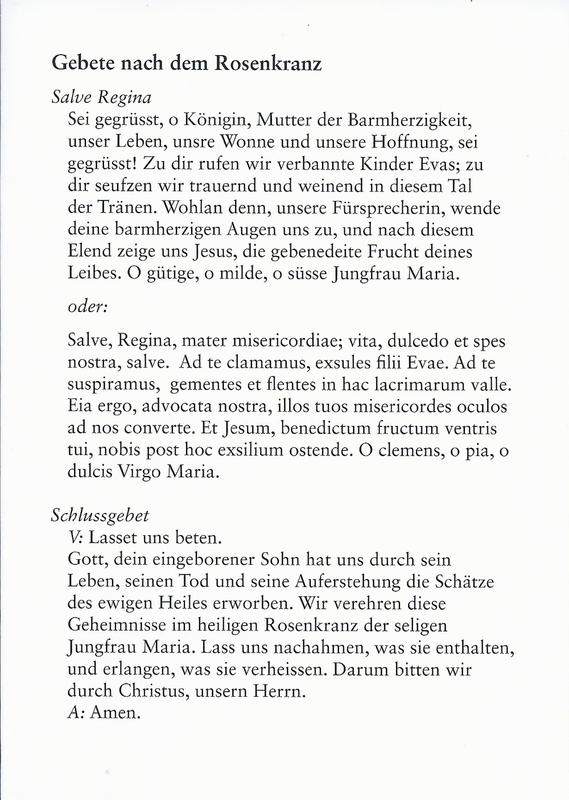 Scan of the rosary booklet from the monastery. 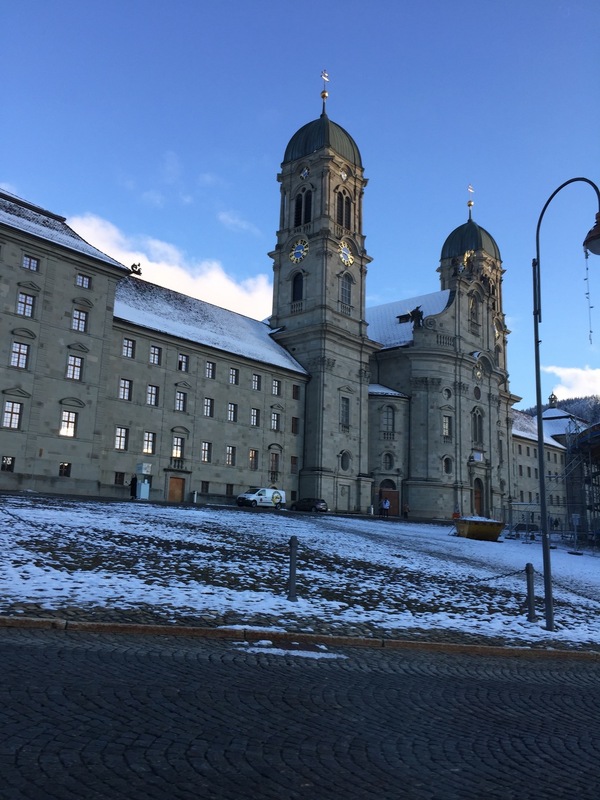 This is a brief synopsis of my visit to Einsiedeln, Switzerland, on November 23, 2015, where I met with Jungian analyst Robert Hinshaw at his publishing company, Daimon Verlag. The offices are located in a 700-year-old building, and his window looks out onto the Kloster Einsiedeln, an enormous Benedictine monastery that is home to the Black Madonna. Late in the afternoon, I was able to snap a photo of the Moon rising behind the magnificent abbey. In the 1970s, Dr. Hinshaw attended the C.G. Jung Institute Zürich where he took classes from Marie-Louise von Franz, Barbara Hannah, and James Hillman. As a student, he worked alongside Daryl Sharp at Spring Publications, eventually becoming their business manager. After Spring moved to the United States, Hinshaw started his own publishing company, Daimon Verlag. 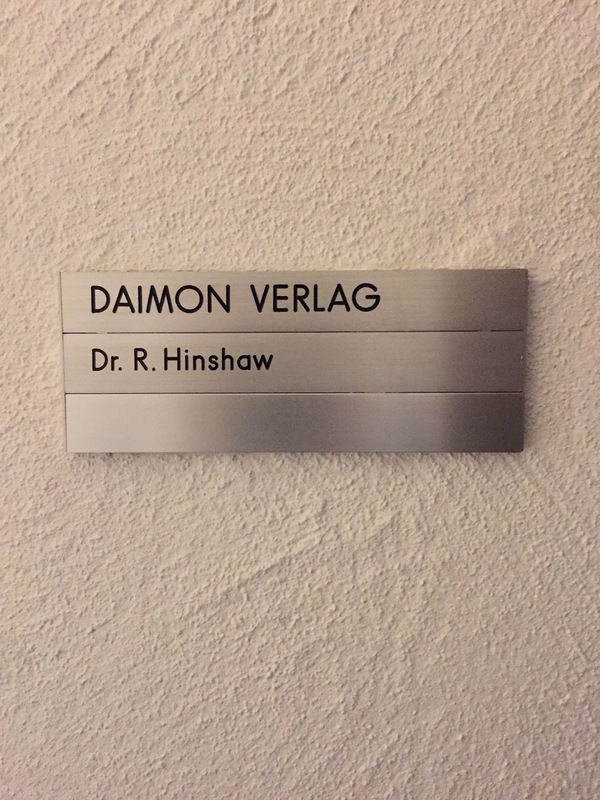 Daimon publishes books on Jungian psychology in both German and English, and also has a few rare DVDs as well as a postcard series from the Red Book. 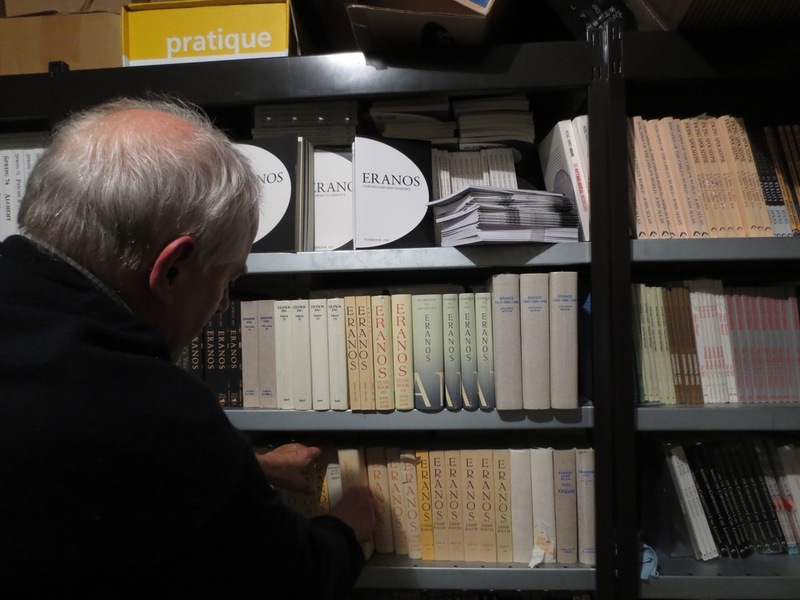 But I think their biggest endeavor is the publication of the Eranos Lectures and Eranos Yearbooks. Dr. Hinshaw sent me off with the book, The Black Madonna of Einsiedeln: An Ancient Image for Our Present Time, written by a friend, Jungian analyst Fred Gustafson, whom he trained with in Zürich. When I left the office it was very dark and very cold outside. I walked up to the abbey to get a glimpse of the Black Madonna and discovered that a mass was being held, so no photo-taking was allowed. There is, however, a replica statue in a small room off to the side, and I've included her photo above and below. The monastery has a very active Facebook page as well as a live webcam. On Monday, December 14, 2015, I recorded an interview with the author of The Black Madonna of Einsiedeln, Dr. Fred Gustafson. You can listen to that episode on his podcast page. Special thanks to Episode #7 guest Christina Becker for suggesting I visit Einsiedeln during my trip to Zürich.